Blues for the Soul and Soul for the Blues. That’s what it’s all about This Thursday at Pops Bar with our new event RHYTHM & BOOZE. 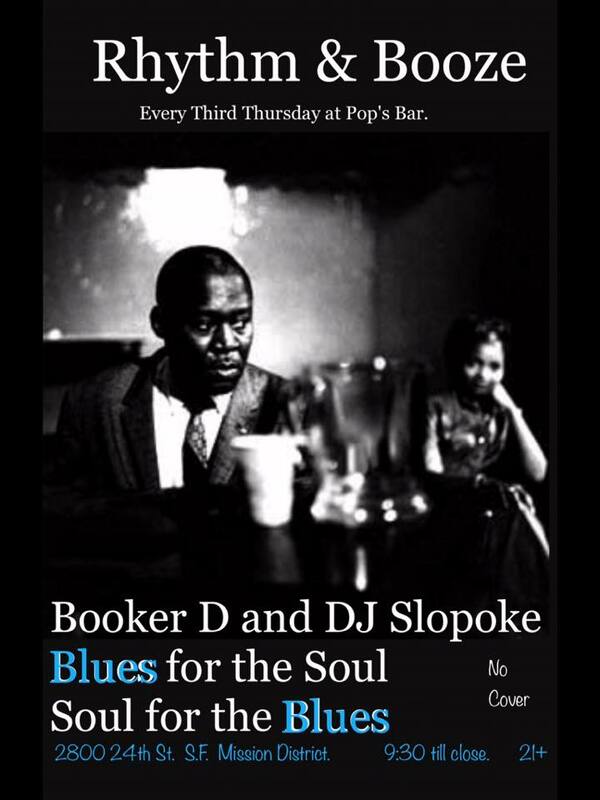 DJs Booker D and Slopoke play the records we love to hear: Blues 45’s, deep soul, hard funk and then some. These DJs pride themselves on life long collections of hard to find records. Join us for a night of powerful Soul Sides and Boozey Blues 45’s. Make it a double. First Ever Moto Monday: Bikes, Booze, and Babes. Come talk shop and kick the Monday blues with our very own motobike loving bartender, Chelsea.